I source my materials both locally and abroad. 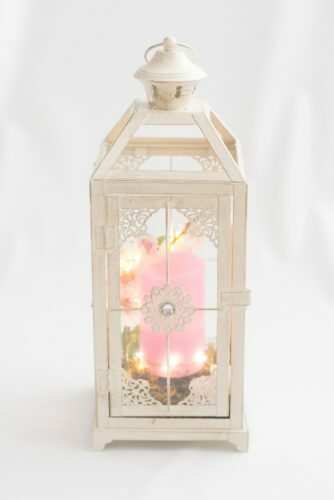 I wire the candle and fairy lights together with one source (outside the lantern) to turn on and off the battery operated display. I also assemble the interior decor by hand. My idea for Glow Lanterns started a couple years ago when I decorated a few lanterns for family members as Christmas gifts. The lanterns I saw on the market were either sold empty or contained a single candle and nothing else - very plain and simple. 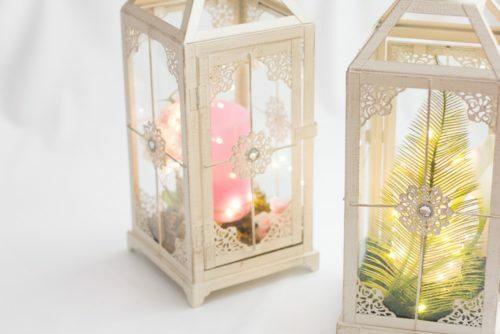 I loved the look of lanterns but wanted them to have something unique and stylish; something they hadn’t seen before. Although flame candles looked nice, I was always afraid of leaving them unattended so I decided the design had to contain LED battery operated pillar candles. 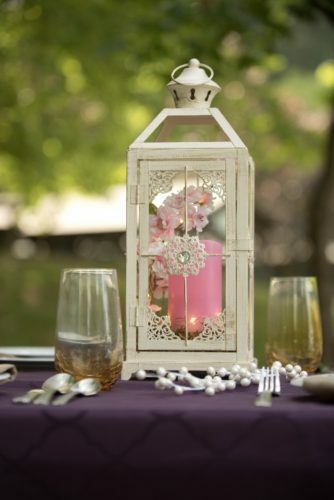 Fairy lights are a beautiful bright addition that added sparkle to the inside of the lantern that complemented the candle. The relatives loved their presents and I thought maybe this might be something other people would enjoy in their homes as well.